With the intention to maintain its lead, Samsung unleashes another budget Android handset, the Galaxy On8, in India. 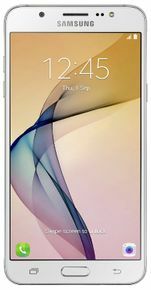 The Samsung Galaxy On8 specifications include 5.5-inch (1920 x 1080 pixels) Full HD Super AMOLED display, 1.6GHz Octa-Core Exynos 7580 processor with 3GB RAM and 16GB internal storage. The software is latest Android Marshmallow based TouchWiz UI. Other features include 13MP rear camera with LED flash, 5MP front-facing camera with LED flash, 4G LTE, Wi-Fi 802.11n, Bluetooth 4.1, GPS and a 3300mAh battery. Unlike the new Samsung Galaxy J7 Prime and J5 Prime the Galaxy On8 has a polycarbonate casing. Samsung is likely to add all its innovative features such as s-bike mode, ultra –data saving, S-power mode in this smartphone. The Samsung Galaxy On8 is currently listed on Flipkart. The Galaxy On8 India price is 15,990, which feels a bit steep. Budget phone by samsung with amoled display rocks with full HD !!!!! With good specs, on8 has a quite adaptive display with vibrant colours. This phone is better than j7 prime as j7 prime comes with TFT capacitive screen but on8 has FHD Super AmoLED display. 13 mp camera is good. Not having heating problem like other smartphones.